A classic is a classic for a reason. Learn to build your own metal forge, screen-print whatever you want, swing a hammer better than your ancestors, and repurpose what Hackett calls “obtanium”—but what others might call trash—into your own mad-scientist creations. Discover the supreme joy that is angle-grinding, rig your own welding machine out of a junked car battery or three, and meet and master a whole host of electronic gadgets—LEDs, piezo buzzers, solar panels, and more. When it comes to making, there’s a whole new skillset in town. 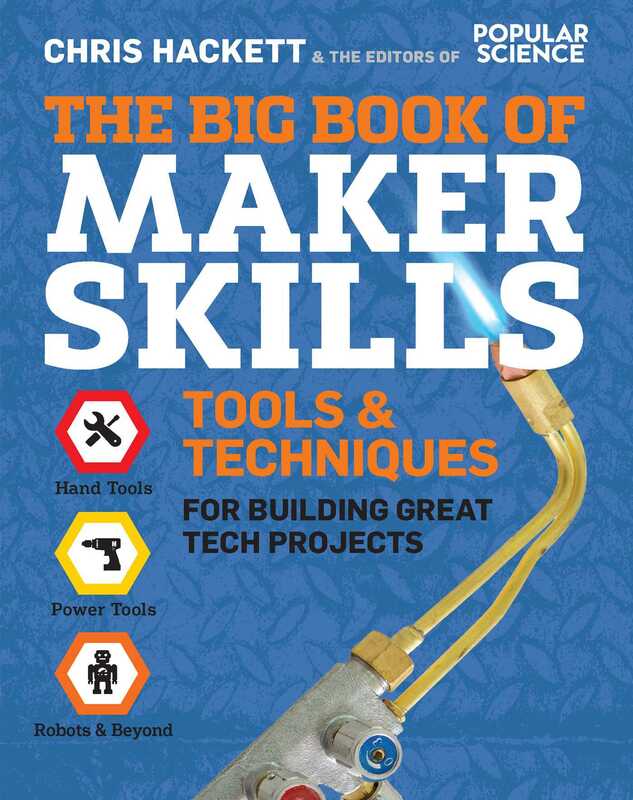 Get started with CNC milling, laser-cutting, programming microcontrollers, and 3D printing in a chapter that’s all about building what’s next. Setting up a hackerspace, drones and space exploration tools, circuitry basics, sourcing and crowdsourcing and biotechnology-just to name a few more. You name it; it’s probably in this book.